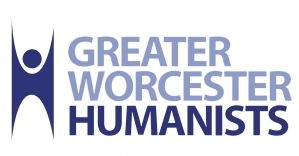 Please join Greater Worcester Humanists for our January 9 meeting. David Niose will speak on "Humanism 2019: The Challenge of Eternal Vigilance". You are welcome to arrive and mingle around 6:30 PM. We will begin the formal meeting at 7 PM. David Niose, legal director of the American Humanist Association's Appignani Humanist Legal Center and former president of both the AHA and the Secular Coalition for America, will discuss some of the major issues facing humanists and organized humanism in the the coming year and beyond. With the 2018 election now behind us, Niose will discuss such questions as: What Church-State issues will be in the forefront in the coming year? Are there new possibilities for the Humanist movement in the changing American landscape? What about the Christian Right, anti-intellectualism, corporate power, and other obstacles to humanistic policy? Are the dynamics evolving--or not? Niose will discuss the activist issues that are likely to be front-and-center as we make our way through 2019 and head toward yet another election year in 2020. David Niose is legal director of the American Humanist Association, a Washington-based group that advocates for church-state separation and the rights of secular humanists. Niose has litigated constitutional cases in state and federal courts all over the country and has written extensively about secularism in America. He served as lead counsel in a case that challenged the "under God" wording of the Pledge of Allegiance, which went before the Massachusetts Supreme Judicial Court in 2013. Niose is author of the bestselling Nonbeliever Nation: The Rise of Secular Americans (Palgrave Macmillan 2012) and Fighting Back the Right: Reclaiming America from the Attack on Reason (St. Martin's Press 2014). He also writes for Psychology Today and has been published in numerous other publications, including the Washington Post, Newsday, Huffington Post, Salon, and others.